It's a busy weekend here in the O dot. First up, this Saturday, The Ottawa Goth Syndicate presents their annual "Visions and Voices: The Dark Bazaar". "Visions and Voices is an opportunity for Ottawa and the surrounding communities to showcase their creativity. It's a dark and magical night of performance and art from Ottawa and its surrounding communities. Artists will be displaying their work, a variety of fantastic vendors will be selling their wares and the performers will dazzle you with their acts while we dish out the door prizes provided by our amazing sponsors throughout the evening." 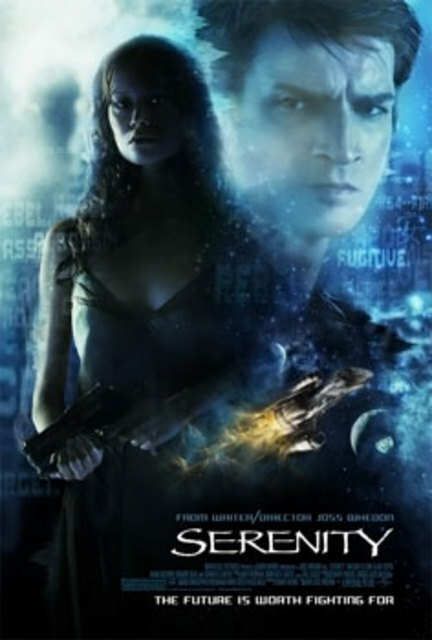 The show starts at 7:30 at the Masonic Hall at 430 Churchill Ave.
Then Sunday, The Ottawa Browncoats and Zombieinfo.com are presenting a special charity screening of "Serenity" at the Mayfair. The only thing better than Mal and Company on the big screen is Mal and Company on the big screen for a good cause, so come on by. Proceeds go to Equality Now and iSisters Technology Mentoring. Plus great prizes and a ticket that's a button! Show starts at 12:00 noon, so don't be late.